This number is an exclusive number all information technology devices (printers, routers, modems, etc) use which identifies and allows them the ability to communicate with each other on a computer network. There is a standard of communication which is called an Internet Protocol standard (IP). In layman's terms it is the same as your home address. In order for you to receive snail mail at home the sending party must have your correct mailing address (IP address) in your town (network) or you do not receive bills, pizza coupons or your tax refund. The same is true for all equipment on the internet. Without this specific address, information cannot be received. IP addresses may either be assigned permanently for an Email server/Business server or a permanent home resident or temporarily, from a pool of available addresses (first come first serve) from your Internet Service Provider. A permanent number may not be available in all areas and may cost extra so be sure to ask your ISP. 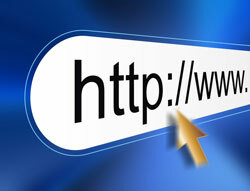 Domain Name System (DNS): This allows the IP address to be translated to words. It is much easier for us to remember a word than a series of numbers. The same is true for email addresses. Dynamic IP Address: An IP address that is not static and could change at any time. This IP address is issued to you from a pool of IP addresses allocated by your ISP or DHCP Server. This is for a large number of customers that do not require the same IP Address all the time for a variety of reasons. Your computer will automatically get this number as it logs on to the network and saves you the trouble of having to know details regarding the specific network configurations. This number can be assigned to anyone using a dial-up connection, Wireless and High Speed Internet connections. If you need to run your own email server or web server, it would be best to have a static IP. Static IP Address: An IP address that is fixed and never changes. This is in contrast to a dynamic IP address which may change at any time. Most ISP’s a single static IP or a block of static IP’s for a few extra bucks a month. IP version 4: Currently used by most network devices. However, with more and more computers accessing the internet, IPv4 addresses are running out quickly. Just like in a city, addresses have to be created for new neighborhoods but, if your neighborhood gets too large, you will have to come up with an entire new pool of addresses. IPv4 is limited to 4,294,967,296 addresses. IP version 5: This is an experimental protocol for UNIX based systems. In keeping with standard UNIX (a computer Operating System) release conventions, all odd-numbered versions are considered experimental. It was never intended to be used by the general public. IP version 6: The replacement for the aging IPv4. The estimated number of unique addresses for IPv6 is 340,282,366,920,938,463,463,374,607,431,768,211,456 or 2^128.